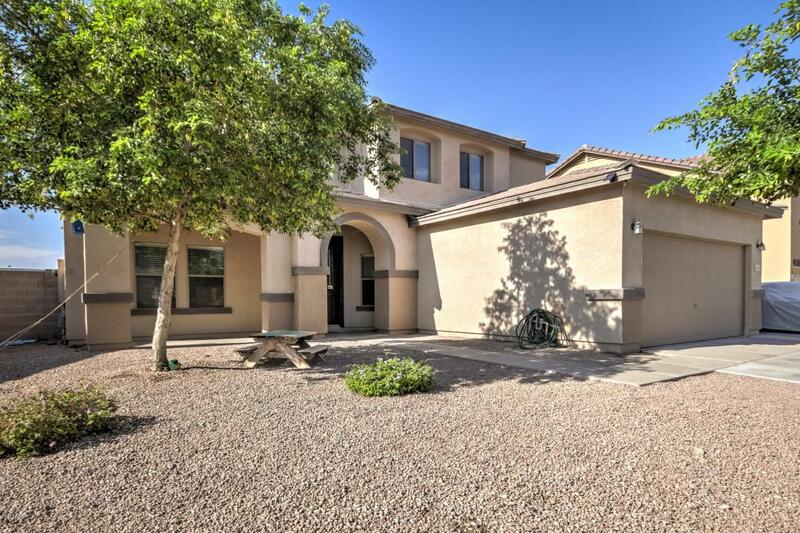 Lovely 2 story home located in the heart of San Tan Valley. 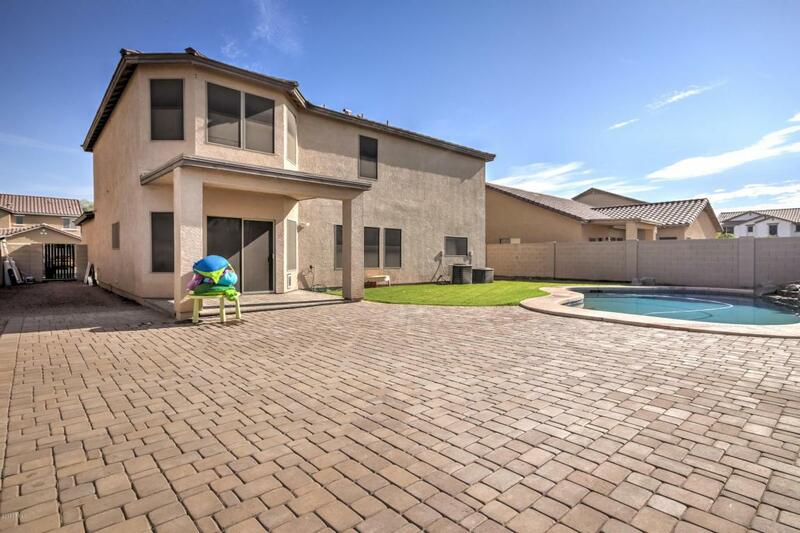 This Castlegate property features (5) beds, (3) baths, 2897 sq.ft, FULL BED & BATH DOWNSTAIRS, AMAZING PEBBLETEC POOL W/WATER FEATURE, NO BACKYARD NEIGHBORS, 16'' TILE IN JUST THE RIGHT PLACES, THE LIST CONTINUES! As you enter, this home welcomes you with a large front room living area, perfect for formal dining! Off to the side of the dining room, you will find the kitchen, which has wonderful features! 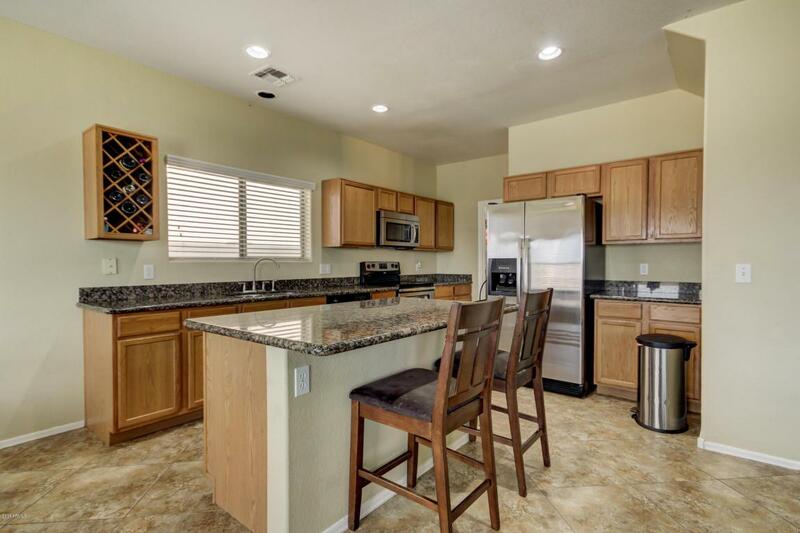 The granite counter tops are lovely, the kitchen island/breakfast bar and stainless steel appliances are sure to please! You will love to cook and entertain here! 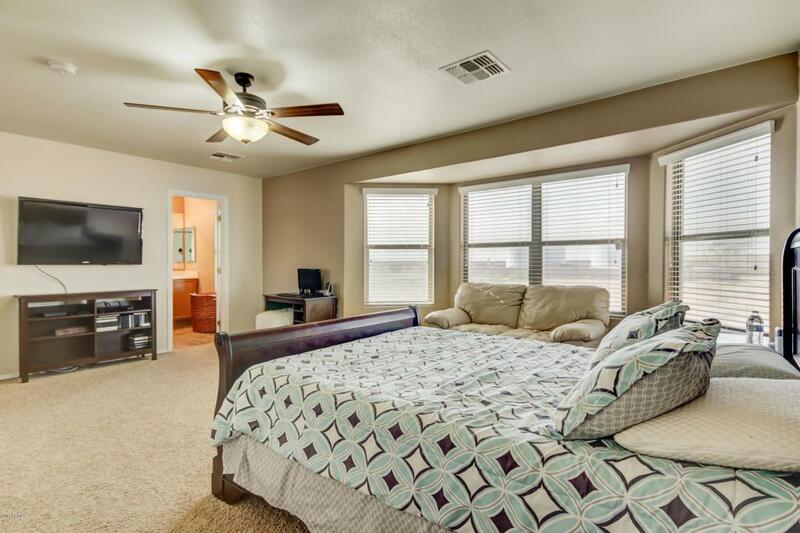 The full bed and bath downstairs are perfect for visiting guests or possibly a mother in laws suite. The room is spacious & has a large closet!